In the history of every great chef there's a teacher, say many food and wine critics, but the case of Gennaro Esposito seems resoundingly refute that assertion. 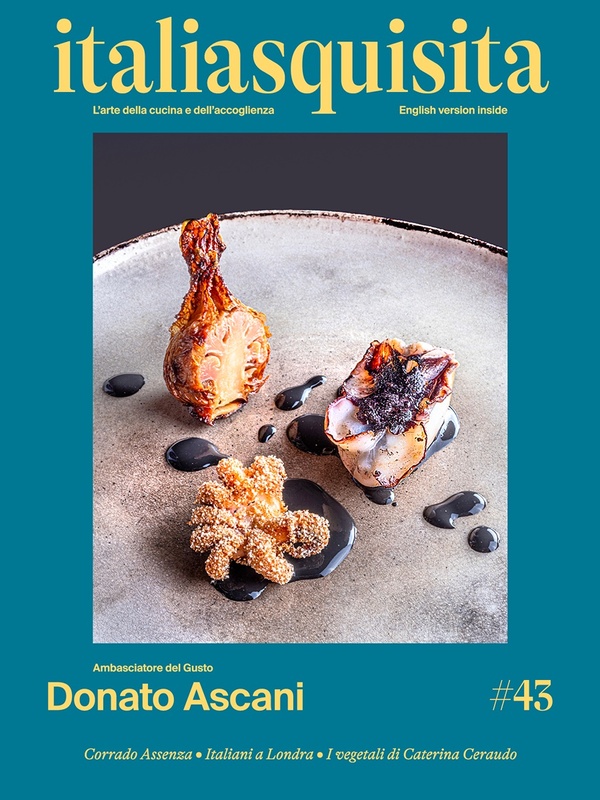 The Chef of Vico Equense in fact worked in Bergamo, Rome and Sorrento (NA), from North to South, then passed from Gianfranco Vissani, in Umbria and even in Paris and Monte Carlo from the historic Alain Ducasse but what remained was only a "garnish ". The teachings of his first job in a bar at nine years, the hotel school and everything else before 2001 have only reinforced his techniques and his curiosity, but nothing more. Fresh produce and territorial buffalo mozzarella, the black pig from Caserta, the anchovies of Cetara (SA), the Sorrento lemon and the apple annurca of the Valley Caudina were already in his DNA. He did not need much, because he had everything in his chromosomes. The restaurants “Casa Vissani” in 1996, “Louis XV” and “Plaza Athénée” from Ducasse in 2000 may have awakened in him a love for the good things and the fantasy that had since childhood. The may have instilled him new working techniques, but what Gennaro Esposito thinks and creates pulls out of the heart, without any teacher.